Landscape architects plan livable communities that foster active lifestyles, design green streets that manage stormwater runoff, design low water-use planting and irrigation plans, plan cutting-edge transportation corridors that are safe for all users, design fire-safe landscapes to reduce property damage in wildfires, and help communities prepare for and recover from natural disasters. Landscape architecture encompasses the analysis, planning, design, management, and stewardship of the natural and built environment through science and design. Well-known National examples include Central Park in New York City, the grounds of the U.S. Capitol in Washington, D.C., and Chicago’s Millennium Park. In California, the work of landscape architects can be seen in San Francisco’s Golden Gate Park and Embarcadero, San Diego’s Balboa Park, The Great Park in Orange County and in our treasured natural spaces, such as Yosemite and Lake Tahoe. Landscape architecture includes both iconic and neighborhood places, including commercial developments, downtown streetscapes, green roofs, local parks, bikeways, trails and residential communities. Landscape architecture is a profession that is broad in scale and scope. Landscape architects receive education and training in site design, historic preservation and planning, as well as in technical and scientific areas, such as grading, drainage, horticulture, and the social and environmental sciences. With this diverse background, landscape architects possess a unique blend of skills to help families, communities, and businesses address important local, regional, state, and national concerns. Landscape architecture is regulated by state licensure requirements. Becoming licensed generally requires a university degree in landscape architecture and completion of a period of supervised practice. All states require passage of the extensive four-part national licensing examination called the Landscape Architect Registration Examination (LARE). In California, candidates must also pass the California Supplemental Examination (CSE). The CSE tests additional competence in practice areas of particular significance in the State, including: State codes and ordinances, water-efficient planting and irrigation, native plants, fire safety, CEQA, permitting, agency jurisdiction, and other topics. All states require every candidate to pass the four-part Landscape Architect Registration Examination (LARE). While education and experience standards ensure each candidate has been prepared to enter the profession, the LARE provides a definitive measure of competence to ensure each landscape architect will protect public health, safety, and welfare. Skills tested include: project development; site suitability; stormwater management; erosion control; hydrology; and irrigation. Candidates also must demonstrate competence in such areas as: layout of playground equipment; vehicular and pedestrian circulation; roadway alignment design; site lighting layouts; manipulation of contours and spot elevations; calculations of slopes, grades, and volumes of material; design of surface and subsurface storm drainage, including hydraulic characteristics and storm drain connections; and site planning for buildings. After passing the four-part national LARE, candidates in California must pass the California Supplemental Examination (CSE) in order to become licensed in the State. 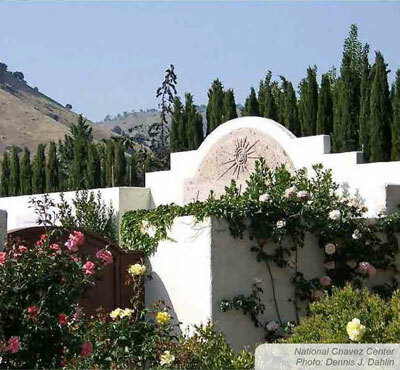 The CSE tests additional competence in practice areas of particular significance in the State, including: State codes and ordinances, water-efficient planting and irrigation, native plants, fire safety, CEQA, permitting, agency jurisdiction, and other topics.